Woollyhugs > Latest.. > Auction > Spring Auction 2019 > Spring Auction. Number 116. Russian doll style Easter Bunnies! 116. Russian doll style Easter Bunnies! Oh this is such amazing and tiny crochet! Each of the five bunnies happily sits within the next one. The white outer bunny has a button fastener and is approx 8cm tall. Too adorable for words! item name : Spring Auction. Number 116. 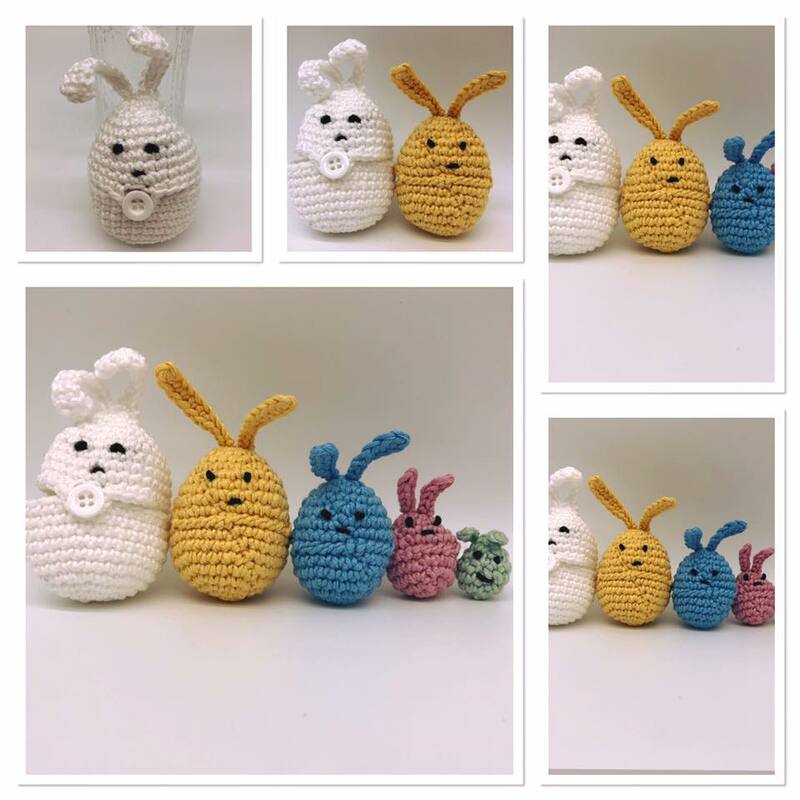 Russian doll style Easter Bunnies!